For use on coil type machines. 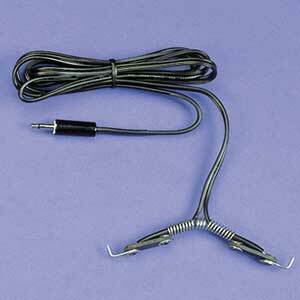 Made with 18-2 plastic coated wire, nickel plated spring, s/s hooks and phone jack to fit the DC compact power supply. 8 foot cord. Made in the USA.